I've had a pretty stressful week, one of those weeks where I just want to curl up with some hot chocolate, my cat, and a book that lets me get a good cry on. So this week, I asked our Best Book Ever contributors to share books that made them cry. (Or, you know, just gave them a lot of ~feelings~ in general.) Get the tissues out, we've got some real winners this time. Is it just me or every week the topic gets harder to choose just one book. I have yet to cry while reading a book (I'm a river though when it comes to films). So if I were to think of a book that affected me emotionally, I would have to go with the first one that pops into my head. 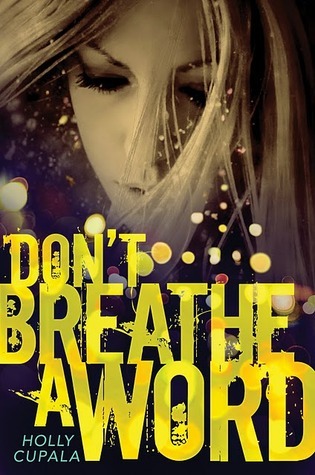 The book is by Holly Cupala and its Don't Breathe a Word. My emotions were all over the place while I read this amazing story. If I were a crier, this one would have definitely had me crying like a baby. Holly wrote from her heart and this novel shows that. You feel every emotion, you experience every action and you love with all your being. This book teaches us to understand abuse, family and our strengths. There are so many words I can use to describe Don't Breathe a Word, so just saying its a novel that will scare you yet captivate you and completely compel you is enough. There's a few books that have made me cry. Various different reasons behind them all. But if I have to choose (which I do, of course), there's 2. These 2 are completely different books and completely different reasons behind the tears they make me shed. 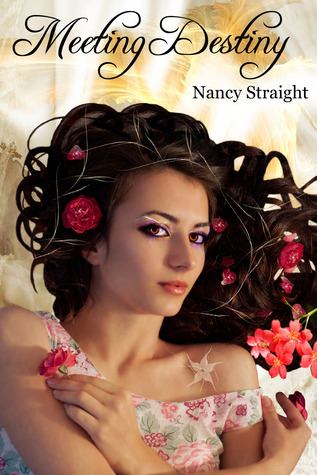 Book 1 is MEETING DESTINY by Nancy Straight. This is a book that gave me such a book hangover I could not read ANYTHING else for at least a week. It made such a huge impact on my heart. It was in fact like Nancy had torn out my heart, played on it like a bouncy castle, then put it battered bruised and unusable back into my chest. I mean that in the kindest way. I don't mean to put anyone off the book - the opposite in fact, I think everyone who hasn't read it is really missing out. It's a trilogy too so there's 2 more books where she puts my heart back to normal. Here's a link to my review if you are interested. And book 2 that made me cry. 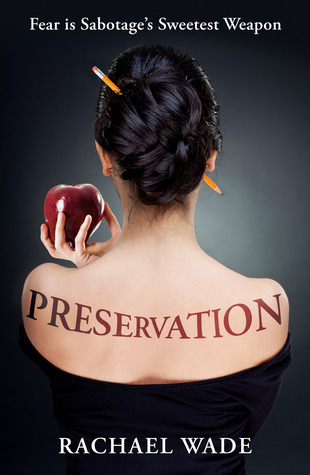 It's an adult book called Preservation by Rachael Wade. It's about a girl who's sworn off men and a college professor that cross paths and have an elicit romance. It's a beautifully written book and it made a tangle of my emotions. There were ups and downs and things I didn't expect coming. If you want to know exactly why I read it in one sitting and sat crying like a baby, read the book yourself. For more on my love of it, here's a link to my review. This is so obvious it seems almost like cheating, but THE FAULT IN OUR STARS by John Green has made me cry more than any other book, ever. I do a lot of my reading on public transportation, but I knew this one would likely melt me into a teary mess, so I picked a Saturday night when I had nothing to do, curled up in my apartment, and read the entire thing in one sitting. And it's a good thing I wasn't in public, because I wept pretty much continuously through the last 150 pages or so. By the time I was done, there was a moat of crumpled, used tissues on the floor around my armchair. To explain exactly why I was crying so hard would require spoilers, but come on—it's a book about kids with cancer, I think it's pretty clear that the story doesn't end well for everyone. But mostly, it's a story about how love and joy and beauty can exist in the most unexpected places, and it is remarkable. I may have lost gallons of tears that night, but it was 100% worth it. While this is a tough topic in that books don't often make me cry, it's a super easy choice regarding my favorite of the books that did! 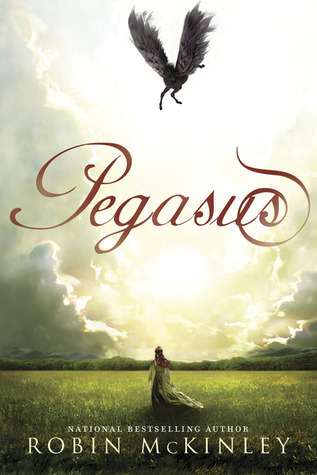 Pegasus by Robin McKinley. It's a sweeping fantasy about a Princess and her personal pegasus (am I jealous? Just a little), and their unprecedented ability to talk to each other. It's a beautifully crafted story of unlikely friendship, of fighting against prejudices and ignorance, and of Love. There's intrigue, there's beauty, there's just this totally awesome story. And it ripped my heart out at the end and made me cry my eyes out. I'm promised two more parts to the story, but until then -- but for now, the painful abruptness of the ending still has my heart raw, two years after the initial reading. An amazing book, people. Amazing. 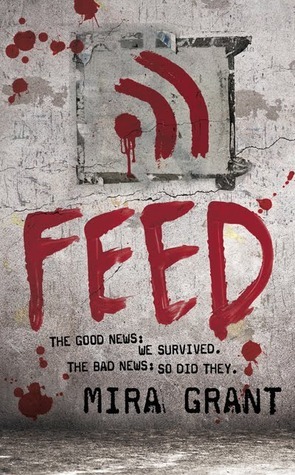 (And that cover! Be still my heart). Whenever I need a good cry, I need only open my copy of The Fault in Our Stars by John Green. I read it on a long train ride home from a writing retreat, on the verge of tears nearly the whole way, gulping the pages down like my life depended on it until I reached the bittersweet end. There are many moments in books and films that have moved me to tears (seriously, the end of the animated film The Iron Giant gets me every time), but this book has a way of reaching deep inside you and subtly, profoundly changing you like few stories can. 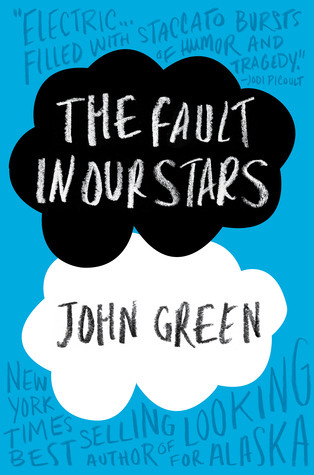 And though you wouldn’t expect a book about a boy and a girl who find each other while fighting cancer to make you feel good or end well for all involved, The Fault in Our Stars is also uplifting, inspiring, and thoughtful with unique characters that will live on long after you close the cover and reach for a tissue. I am basically a serial weeper when it comes to books. When I was a kid, I spent a significant amount of time reading books by Lurlene McDaniel, where someone always was dying of cancer, or was in a car accident, or had some terminal disease. More than once, I'd come out of my bedroom, eyes red from reading some other tragic love story and my mom would be frantically wondering what was wrong. Nothing, mom, just my ~feelings~. In no particular order, here are some books that never fail to make me cry: Feed, by Mira Grant (hysterical sobbing on an airplane over the ending), Code Name Verity by Elizabeth Wein (sobbing on public transportation over so many things), Kushiel's Dart by Jacqueline Carey (sobbing on an airplane over the ending), The Time Traveler's Wife by Audrey Niffenegger (sobbing on public transportation and at home and on airplanes and and and). I would have to say Dear John by Nicholas Sparks. Wow, that man can make me cry in several of his, but that was the biggest tear jerker. Growing up, my cry book would have been Where the Red Fern Grows.